Congratulations to "Janet B." and "Deana D.", the winners in Elizabeth and Kate's giveaway. Thank you to all who participated! 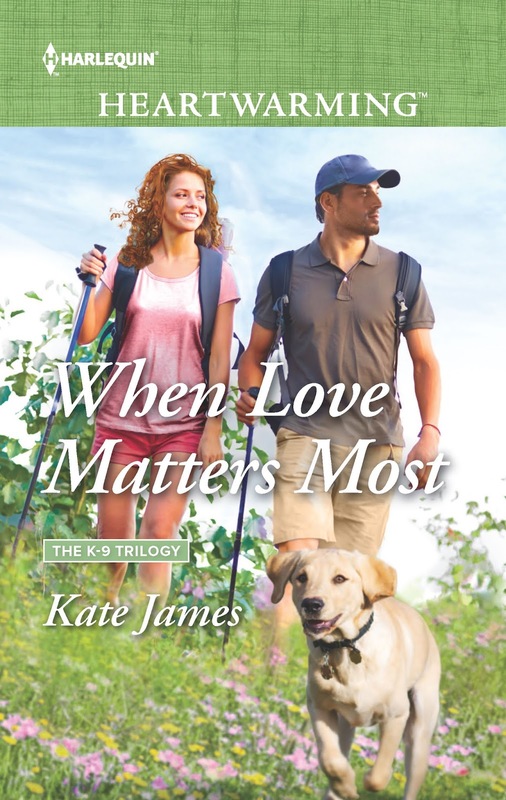 Elizabeth Heiter: Kate James and I may write seemingly very different kinds of stories (among other things, she writes amazing, touching stories for Harlequin Heartwarming that have a bit of suspense and a lot of heart, and I write psychological suspense stories for MIRA Books that are filled with suspense, but still have room for a little romance). But there’s one thing we can definitely agree on: every book needs an amazing hero! Kate James: I agree with Elizabeth and it’s what we both strive for in our writing. We want a combination of deep psychology, action and, of course, emotion, and what better way to start than to have a hero who has a career in law enforcement. San Diego Police Department K-9 Unit sergeant Rick Vasquez is the hero from my most recent release, WHEN LOVE MATTERS MOST, and FBI Hostage Rescue Team agent Kyle “Mac” McKenzie is Elizabeth’s hero from her newest release, SEIZED. If you read our books, you’ll appreciate why these two heroes have two of the toughest jobs in law enforcement, but isn’t it nice to know that these tough guys also have a soft side…especially where our heroines are concerned! Elizabeth Heiter: Today, we’re chatting about our heroes! Kate James: And as a way to introduce you to our heroes, we’re giving away signed copies of the first book in Elizabeth’s The Profiler series and the first book in my K-9 Trilogy. So, what makes an amazing hero? Kate James: Although I like to have swoon-worthy heroes, being amazing is about more than looks. In my opinion, it’s essential for the hero to have depth and complexity, decency and a strong moral core. He has to be someone you can ultimately trust and rely on, even if their motivations aren’t necessarily clear at the outset. 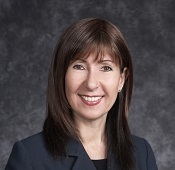 Elizabeth Heiter: When you think of a hero, you might get an automatic picture in your mind of someone who looks a certain way, who’s vocal and active and always leading from the front, but I think a real hero is built from the inside out. What makes a hero to me is someone who is willing to stand up for the things he believes in, even when doing so could be unpopular or even life-threatening. It’s part of why I love writing heroes in law enforcement: they’ve actually chosen a job that requires them to stand up and defend others. What about the heroes in The K-9 trilogy and The Profiler series? Elizabeth Heiter: I’ve always thought of Kyle “Mac” McKenzie of The Profiler series as being alpha on the outside and beta on the inside! He’s a tough, dedicated Hostage Rescue Team agent for the FBI, which means he’s got all the right equipment for a poster cover guy: he’s strong, ripped, and knows how to handle himself in a firefight. But what really makes him a hero is that he’s willing to put his life on the line for what he believes in, and for those he cares about…including my heroine, FBI profiler Evelyn Baine! Kate James: Rick Vasquez, alias Pitbull, is a sergeant with the San Diego Police Department’s K-9 Unit. Rick is a product of his formative years, and he didn’t have an easy childhood. He was born in Tijuana, Mexico to parents deeply immersed in the drug trade. Rick was orphaned at twelve when his parents were executed in an ambush at their home by a competing cartel. Rick narrowly escaped and made his way across the border into California. From that early age, he’d determined to go into law enforcement and fight drug trafficking. He and his narcotics canine partner, Sniff, also volunteer to work with susceptible inner-city youth to keep them from being drawn into the dark and dangerous world of the drug cartels. Rick is tall, fit and great looking, as you might expect, but he also has a heart of gold inside that tough outer shell, and that heart ultimately belongs to my heroine, K-9 Unit veterinarian, Madison Long. How do these guys win over their heroines? Is it a foregone conclusion? Kate James: No, it’s not a foregone conclusion by any means! Rick and Madison meet under less than ideal circumstances, shortly after Madison joins the veterinary practice that takes care of the SDPD’s canines. A police officer who’d filled in for Rick on a call had been shot, an incident in which the officer’s dog was also injured. Rick feels guilty about not having been on the call, is worried about his colleague who he can’t help, but is determined to save the dog’s life by getting him the best care possible. Not having met Madison before, Rick isn’t convinced that she’s the one to provide it. Needless to say, he has some ground to recover right from the outset that and that encounter isn’t even close to being the most serious conflict they face! As the series continues, Mac and Evelyn become closer, as Evelyn begins to see past Mac’s teasing, flirting exterior and realizes he’s not like this with everyone – it’s just her! Trust is difficult for her because of her background, so it’s something Mac has to overcome – but he’s definitely up for the challenge! Want more of these yummy heroes? GIVEAWAY ALERT! Kate and Elizabeth are giving away signed copies of the first book in their respective series to one lucky commenter! What should have been a routine investigation for FBI profiler Evelyn Baine turns ominous when she's kidnapped by a dangerous cult of survivalists. As her worst nightmares become a reality, she begins to question what she's seeing. Because the longer she's inside their compound, the more she realizes this group is not what it seems to be. As the FBI's Hostage Rescue Team closes in, Evelyn suspects she's stumbled onto an emerging terrorist threat—and a cult leader who has a score to settle with the FBI. If Hostage Rescue breaches the compound, Evelyn's dead for sure. If they don't, the cult may unleash a surprise attack that could leave the whole country shattered. Kate would love to hear from you. You can connect with her by e-mail (readers@kate-james.com), through her website (www.kate-james.com), her Facebook page (www.facebook.com/katejamesbooks), Twitter (@katejamesbooks) or mail at PO Box 446, Schomberg, ON, L0G 1T0, Canada. Elizabeth graduated from the University of Michigan with a degree in English Literature. She’s a member of International Thriller Writers, Mystery Writers of America and Romance Writers of America. She writes two series, a psychological suspense series called The Profiler series, featuring FBI profiler Evelyn Baine, whom Fresh Fiction called “one of the most amazing characters created in print” and a romantic suspense series called The Lawmen series, the most recent of which was nominated for Best Intrigue of the Year by RT Book Reviews. 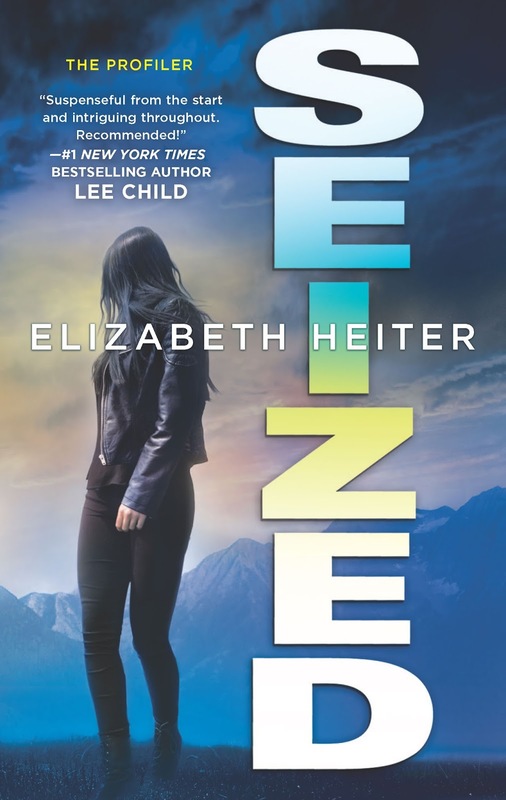 You can learn more about Elizabeth and her books (including Avenged, her free short story in The Profiler series) at www.elizabethheiter.com. 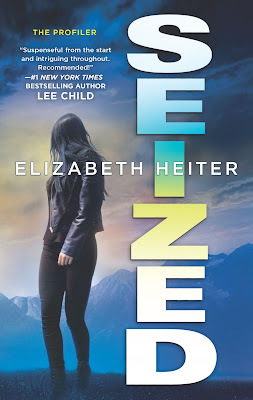 You can also connect with her on Facebook (www.facebook.com/elizabeth.heiter.author), Twitter (@ElizabethHeiter) or via email at liz@elizabethheiter.com. Giveaway ends 11:59pm EST Feb. 21st. Please supply your email in the post. You may use spaces or full text for security. (ex. jsmith at gmail dot com) If you do not wish to supply your email, or have trouble posting, please email maureen@justromanticsuspense.com with a subject title of JRS GIVEAWAY to be entered in the current giveaway. Thank you for hosting us on your website today. Thank you, ladies, for sharing. Would love to read both of those series. I enjoyed reading your thoughts on what characteristics make up a true hero. My email is debbiemac73 at yahoo dot com. We hope you will have a chance to read the books, Debbie. Thank you for leaving a comment and best wishes with the giveaway! Thank you for your comment, Trude. Good luck with the giveaway, and if you get a chance to read our books, we would love to hear from you. Thanks, Trude! If you have the chance to read them, I hope you enjoy the books!! I can assure you that although the K-9s face danger, they have their own HEAs, too! Good luck with the giveaway, Janice. Hi, Janice! Thank you so much for reading my books, and visiting today!! I'm with you on the K-9s - they're such amazing animals, and I love reading about them! Thank you Elizabeth and Kate! Both of your books sound like my favorite type of books - a little action and a lot of heart. Thank you for sharing. That's a lovely way to describe our books, Joan! You might find that there's more than a little action, though! Best wishes with the giveaway, and thank you for your comment. Both books sound like ones I would enjoy reading... thanks for sharing about them! Thank you, Colleen. If you get a chance to read either of our books, we would love to hear from you! Good luck with the giveaway! Thanks, Colleen!! We appreciate you visiting us on JRS today! Aww...thank you, Kathleen. I am so glad to stop by to visit with us here. Best wishes with the giveaway, and I hope you are having a terrific weekend! Thank you, Kathleen!! I'm so happy you've been enjoying our books! Thanks for hosting and letting readers know about great books. I would be blessed to read any of them. Thank you for visiting and leaving a comment for us, Deana. Good luck with the giveaway! Thanks, Deana! Writing about our heroes has been a lot of fun, and we're glad you could join us here today! Adding my thanks! Kate and I had a lot of fun writing this post. And it's always fun visiting JRS! A great post thank you & the books look amazing. Thank you, Mary! Good luck with the giveaway. We hope you have a chance to read our books. If you do, we'd love to hear from you. I would love to win these books. They sound fabulous. Thank you for the giveaway! Best wishes with the giveaway, Janet, and thank you for visiting and leaving your comment!